The emergence of modern technology has brought a lot of changes to the ways people shop. 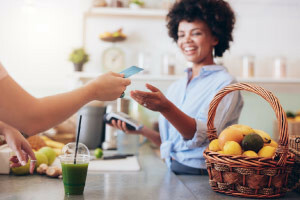 The retail industry has made a drastic turn since the general stores and the mail-order catalogs of previous decades, and now faces major challenges and opportunities in the form of e-commerce and online retailing. This free online Introduction to Modern Retailers and Consumers course will give you an overview of the present and future of modern retailing. This free online course will give you a solid introduction to the different types of retail formats that exist today. These include department stores, chain stores, franchises, low-cost discount stores, and warehouse-style retail stores. You will then look at the ways traditional retailers have had to rethink their business models and why they introduced new retail archetypes that appeal to all types of people such as lowest cost, convenience-location, convenience-pre selection, and platform operator. You will then look into a case study that analyses modern consumer behaviour and study the continued relevance and importance of brick-and-mortar stores. You will learn why these traditional street-side retail shops that are rented out by businesses to be able to offer physical products and services to their customers face-to-face are still essential to shoppers. Lastly, the Modern Retailers and Consumers online course will cover the different demographics of shoppers and their buying habits. Every business owner and manager dreams of massive foot traffic heading into their establishments. However, it takes more than just a retail store and merchandise to get those sales running; you also need research and training. This retail business course will give you the understanding of modern retail formats and consumer behaviour that will help you bring your business to the next level. So, check out the course today, and keep moving forward! Identify the different types of retail stores. Explain how the emergence of the internet has changed retail. Define and explain the four retail archetypes. Explain why the in-store experience is still essential to shoppers. Define and describe the different demographics of shoppers.